Very peaceful stay. Lovely big balcony apartment no. 4, everything we needed for a 3 night stay. Really enjoyed the rooftop pool. Easy walk into town. Would recommend Villa Marica. Place was awesome, clean room, swimming area.. 10 min walk to the center. We enjoyed the stay so much! Highly recommended!! Great owner, family runned property with a nice fireplace outside just perfect for chatting and grilling. Very nice swimming pool, rooms are ok, very nice terrace, parking inside 2 -3 parking spaces, outside 2 more. Overall very nice experience and friedly Service. Very nice looking villa especially outside around the pool, very atmospheric in the evenings. Various seating outside for having lunch or just chilling by the pool. BBQ facilities are for extra cost. Nice clean pool and rooms. Very close to Primosten and other cities like Sibenik, Trogir or Split. Air condition and wifi included. Ganz tolle Unterkunft. Sehr sauber, freundlich. Sauberes Pool, 10 Gehminuten zur Altstadt. Sehr zufrieden! 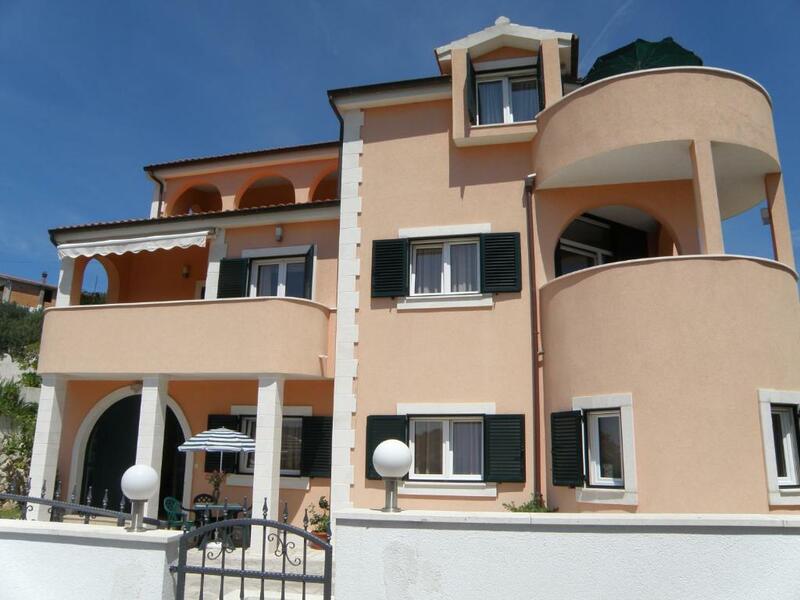 Lock in a great price for Villa Marica Primošten – rated 8.4 by recent guests! 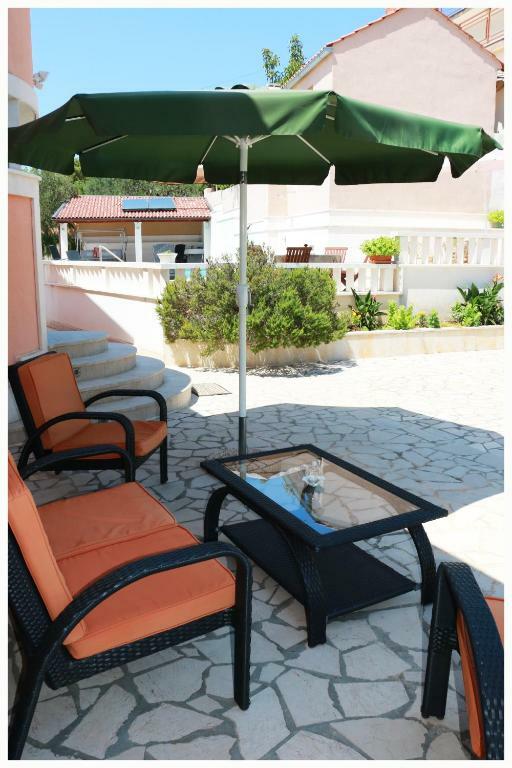 Villa Marica Primošten This rating is a reflection of how the property compares to the industry standard when it comes to price, facilities and services available. It's based on a self-evaluation by the property. Use this rating to help choose your stay! One of our best sellers in Primošten! 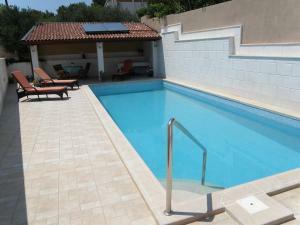 Featuring a swimming pool, Villa Marica is set in the picturesque Dalmatian town of Primošten, 1,000 feet from a beach. The property features air-conditioned apartments and studios. A sauna and a hot tub are at guests’ disposal. Free internet corner is available. All accommodations units are fitted with satellite TV, while the self-catering units offer an equipped kitchenette. Most of the units come with a furnished balcony or a patio overlooking the garden. Free private parking is possible on site. Barbecue facilities and a sun terrace with sunbeds are at guests’ disposal. Primošten town center can be reached within 2,650 feet. Restaurants, shops and bars are just a short walk from the Villa. A jet ski, pedal boats, parachutes and diving can be enjoyed 2,650 feet from the Marica. Nudist beach can be found as well within the same distance. Primošten Bus Station is 2,650 feet away, while Split Airport can be reached within 19 mi. 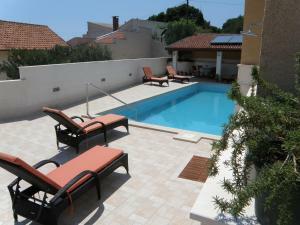 When would you like to stay at Villa Marica Primošten? The studio is fitted with air conditioning, satellite TV, and a kitchenette. 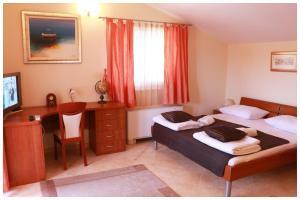 The apartment is fitted with air conditioning, satellite TV and an equipped kitchenette. A patio or a balcony comes with the apartment. This air-conditioned room comes with a spacious terrace that overlooks the sea. Amenities include a fridge and a private bathroom. Guests staying in this room have at their disposal a summer kitchen equipped with a stove, barbecue and a fridge. This air-conditioned apartment features a balcony with a sea view. It is fitted with satellite TV, an equipped kitchenette and a bathroom with shower. This air-conditioned apartment has a terrace and is fitted with satellite TV, an equipped kitchenette and a bathroom with shower. This apartment features a patio, air conditioning and stovetop. At Check-In Point we specialise in the management of vacation rental properties along the Adriatic Coast and beyond! With an exuberant, youthful perspective on the tourism industry, our team has a wealth of experience and expertise to match. Our overarching philosophy is to meet the highest standards of hospitality and professionalism with every individual we encounter. Whether you've walked in off the street, had a recommendation from friends, family or simply stumbled upon us in your quest to find the best, we'll help facilitate your stay! Our team speaks your language and that enables us to be accountable and transparent. The work we undertake begins before you've even made your reservation. By having more than 100 listings, we can optimise prices to ensure all of our clients get incredible, affordable accommodation. The service doesn't end there; we're always accessible and our holistic approach includes, but is not limited to, offering transfers to and from the airport, cleaning and providing recommendations to visit those hidden gems you wouldn't otherwise know about! 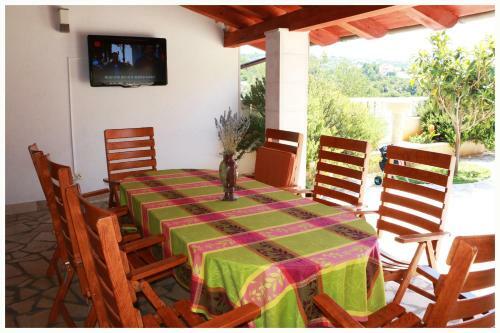 House Rules Villa Marica Primošten takes special requests – add in the next step! There are no shops for groceries on walking distance and crossing the road with small children can be dangerous. Some room like ours was without a balcony but we had whole terase for us most of the time. We could hear music from disco nearby over the weekend but it wasn't as bad. The villa is on the hill so we had nice views but we had to reach centre and beaches by car (2 min). We could hear our neighbours when walking on the stairs but it was about mutual respect. All in all I would really recommend this villa as we enjoyed our trip. When go shopping it is a bit far so you need a CAR or take a cab.